The OLF Tailgate Party held on Saturday, August 18th was one of the featured events highlighted in the Click! section of South MS Living September edition. The annual tailgate party is one of the largest fundraisers of the year for the school. We appreciate all the volunteers, donors, and the attendees who supported this event. We hope to see you again next year. 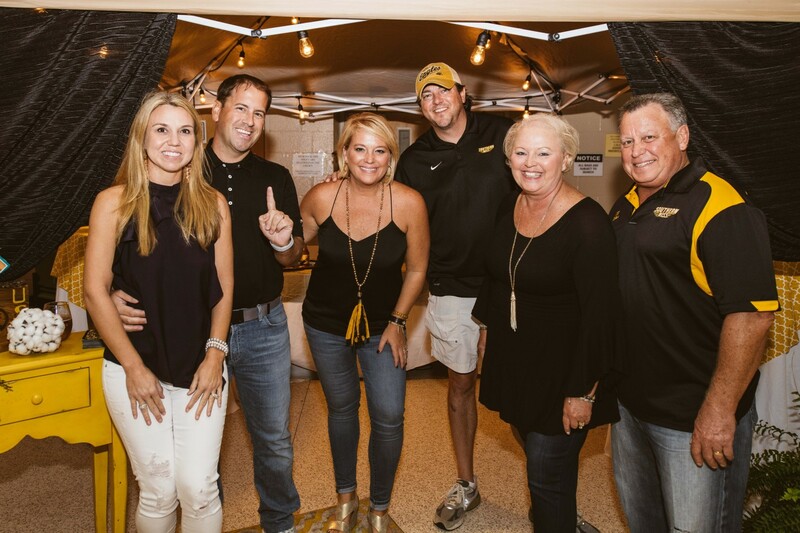 Aimee McLendon, Jonathan McLendon, Amy Howk, Wade Howk, Cindy Hahn, Jimmy Hahn celebrate being selected as the People Choice Award for favorite tailgate tent.